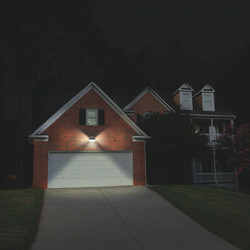 Luceco SOLAR Guardian 6.8W PIR Wall Floodlight IP44 White 750lm is rated 4.7 out of 5 by 3. Rated 5 out of 5 by Dog walker 2 from Very pleased. Bought this to put above north facing conservatory door to illuminate dogs in the garden at night. Charges well and very bright light. Not a great range, but good for the purpose. Rated 5 out of 5 by itech 1970 from car park remote no mains supply We had a commercial business who tasked us with providing some amenity lighting to one of the car parks where their customers park. there was no mains supplies so a solar solution was needed. 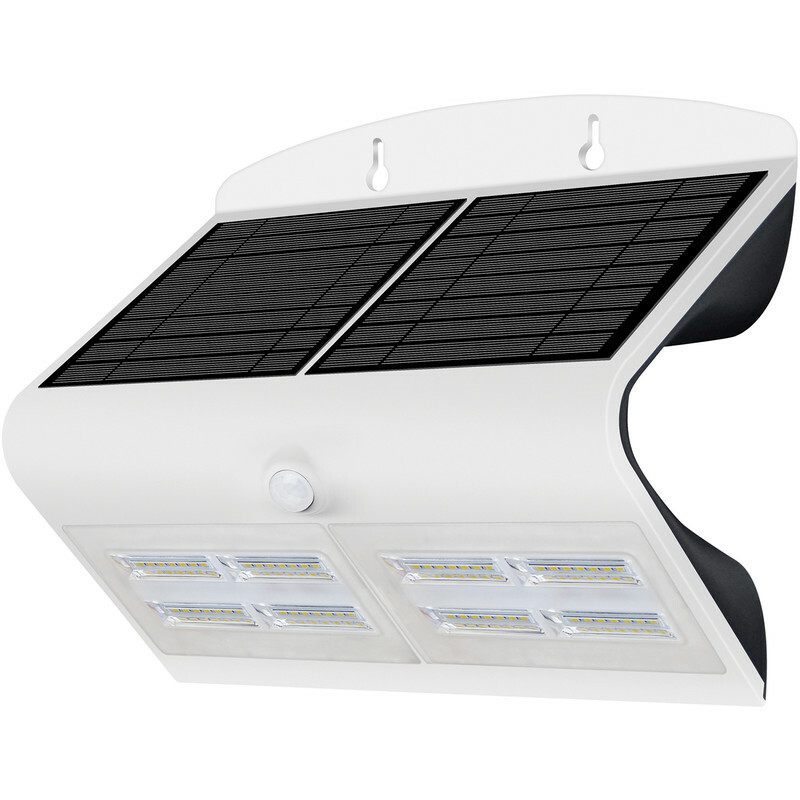 Having used Luceco lighting products on many installations I looked up the solar offerings. These fittings come ready to deploy with a simple button to press to select the useage of which 3 modes are available as standard. We selected the PIR mode which activates the lighting for 20 secs after the last movement is detected and its light output is 800 lumens which is very bright. The fittings were fixed to fence panels using security screws to provide some level of theft protection as the area was remote from cctv. the client was impressed that the whole install was quick and trouble free.